Retailers all know that Black Friday — and its more recently popular sister sales holiday, Cyber Monday — are essential opportunities to boost revenue before the calendar year comes to a close. However, the widespread awareness of both isn’t enough for the retail space to simply rely on. In fact, thanks to technology, retailers have to be more aggressive than ever to stay ahead of the competition. This is especially true for eCommerce sites that don’t have physical locations to help market their products to passersby. Rather than brave the crowds, more and more consumers are opting to hunt for deals from the comfort of their own homes. Here are a few areas online retailers need to concentrate on to prepare for these all-important sales days. Consumers are already well-versed in Black Friday/Cyber Monday, but that doesn’t mean you need to make them hunt for your discounts. Be sure to display them prominently on your site well beforehand. Shoppers are planning out their holiday purchases earlier than ever, and if they don’t know about your holiday deals — or, worse yet, can’t find any news of them on your website — they won’t waste time searching for them. Instead, they’ll simply keep moving and find their deals elsewhere. Banners and pop-up boxes can do the trick on your site, but don’t forget your email subscribers. Use that resource for all it’s worth, and spread the news of your impending deals on there with each message. Even a countdown timer on your site could prove to be an effective way to let consumers know when to return and make their purchase. Countless pricing strategies — such as bundling, economy pricing and other psychological driven approaches — can help you close a given sale, but there’s far more that you can do to achieve eCommerce success. For instance, personalize your offers for existing customers based on their previous purchases and behavior. Consumers are expecting an experience tailored specifically for them. So any opportunity you have to add specificity to your offers is one you need to take. In addition, the incredible competition that arises during the holiday season means that you cannot bury the lead. Let your customers know why they need to buy from your company over your competitors. What can you bring to the table that they cannot? What incentives can you offer? Don’t be afraid to spell these out upfront in order to secure the sale. One of the most popular strategies online retailers use is automated pricing. Designing a system that can adjust prices based on each customer’s behavior has never been easier, thanks to the abundance of available data. 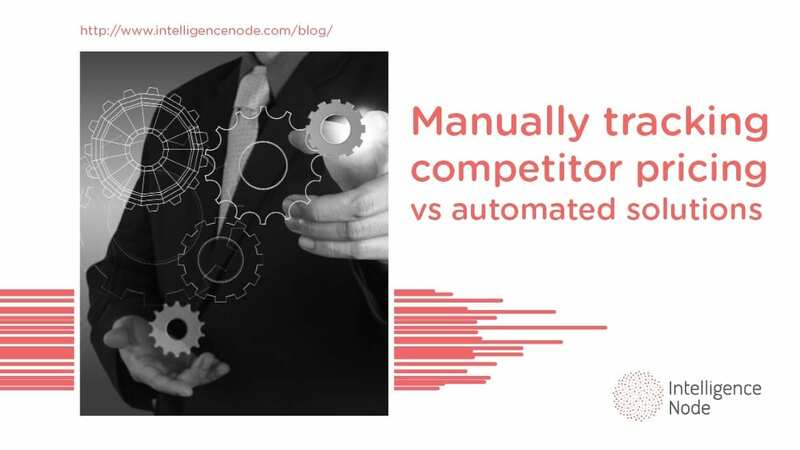 Manual adjustment to pricing can still be effective, of course, but to really make the most out of your potential sales, you need to have an automated system in place. After all, it is tactics like this one that have helped eCommerce giants like Amazon to get such a massive advantage over the competition. Employing tried-and-true strategies like A/B testing and setting a price floor for your products can inform your automated setup and make a tremendous difference in your ability to connect with customers. *Have you had a chance to check out IntelligenceNode’s automated retail analytics pricing software? Since increased traffic to your site is obviously the goal of holiday sales, don’t forget to ensure that your site is equipped to handle a drastic spike in users. Your site speed should be up to par with your projected demand, and your customer service department needs to be scalable to address any incoming consumer questions or problems. Moreover, the design of your site should be optimized to work on mobile, as this is increasingly the preferred way consumers search the web. Also, ensure that your CTAs are given a prominent spot on your homepage and that your interface is simplified to get users into the deals as quickly as possible. One way to do that is to create automated emails to remind customers about abandoned carts since this can sometimes inspire them to finish their purchase. Lastly, it’s always a good idea to conduct a bit of testing beforehand and implement any necessary changes indicated by customer feedback. The holiday season (and all the sales that it entails) is really the last opportunity you have to maximize your annual revenue before the end of the year. As such, Black Friday and Cyber Monday are incredibly powerful tools you can use to benefit your eCommerce business, but like any tools, they must be wielded wisely and purposefully. That starts by being ready. The strategies we’ve discussed above can give you the chance to maximize potential gain and rein in consumers already keen on landing a deal on the products you have to offer. Don’t let Black Friday/Cyber Monday slip past you. Get your site and your customers primed for what’s coming, and you’ll likely see the difference reflected in your sales. Want A Thriving Business? 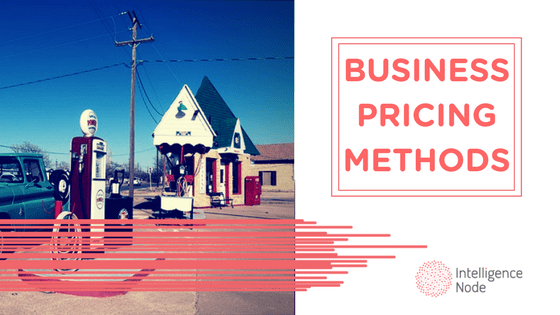 Focus On Pricing Methods!